Thunderstorms, or more generally, cumulonimbus storms, represent one of the most dramatic and violent phenomena in the atmosphere. They are also vitally important in the circulation of our weather systems and the global climate. Cumulonimbus storms transport moist air very rapidly from low to high levels in the troposphere, and convey energy from the earth or ocean surface to the upper regions of weather systems. We are working to better understand and predict cumulonimbus storms. Our research covers many aspects of these clouds, from the microphysical processes of individual water droplets, up to the organisation of weather systems on scales of thousands of kilometres. Professor Paul Field (joint chair with the Met Office) and Professor Alan Blyth (NCAS-Weather director) lead a programme of research into the ways in which small-scale processes in cumulonimbus clouds lead to the generation of rainfall. This body of work aims to improve our predictions of intense rainfall, over the UK and worldwide, through better understanding how precipitation forms in different clouds and different environments. This work has an interesting collaboration with Professor Ken Carslaw’s aerosol research group: aerosols control some aspects of the population of water and ice particles in a cloud, and are therefore a way in which anthropogenic pollution may influence intense rainfall in storms. 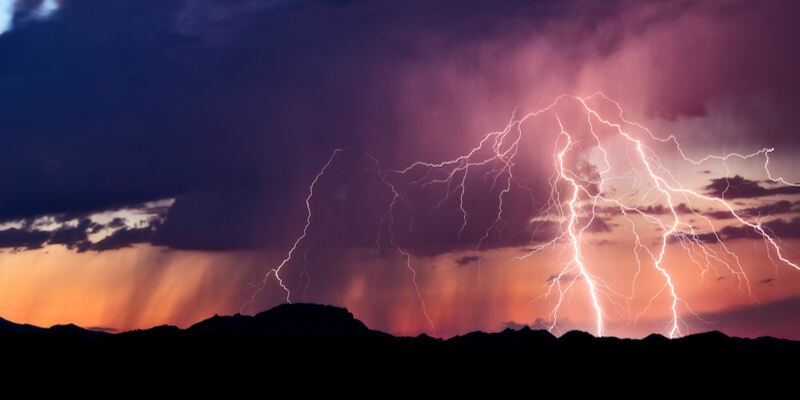 Dr John Marsham, a water@leeds research fellow, leads a body of work investigating storms on larger scales, including interactions with airflows in their environment which may cause storms to be long-lived, or new storms to regenerate in remote locations. His work on UK storms as part of the CSIP project showed how “gravity waves” in the atmosphere interact with storms. Certain systems appear to “ride” on a wave which moves through the low-level atmosphere. In other cases, waves moving away from a parent storm may generate new storms elsewhere. John as also recently conducted work analysing storms over West Africa, showing how they are an essential component in the uplift of desert dust in the region, and how they help to define larger-scale airflows such as the West African Monsoon. Professor Doug Parker studies the fluid dynamics of cumulonimbus storms and their interaction with larger-scale weather systems, in the mid-latitudes (e.g. North Atlantic and Europe) and in Africa. In collaboration with Dr Chris Taylor at CEH Wallingford, he has worked on the coupling between the land surface state over Africa, and patterns of rainfall: this work has indicated how new storms are more likely to occur over hot surfaces, close to the boundaries with cooler, more humid surfaces, for instance where air over cropland meets the more humid forests. He has also worked on the dynamics of coupling between cumulonimbus convection and midlatitude frontal cyclones: recently this work has involved research flights through UK fronts and cyclones with the FAAM aircraft, as part of the T-NAWDEX and DIAMET projects. We work closely with the Met Office and with the National Centre for Atmospheric Science (NCAS) in our research on cumulonimbus storms. Several researchers at Leeds have joint positions with these organisations. Professor Chris Collier and Dr Alan Gadian are NCAS scientists based in Leeds who specialise in cumulonimbus systems and their impacts. Chris has for many years pioneered innovative use of precipitation radar data, particularly for hydrological applications, while Alan works on the development of new models of convective dynamics.